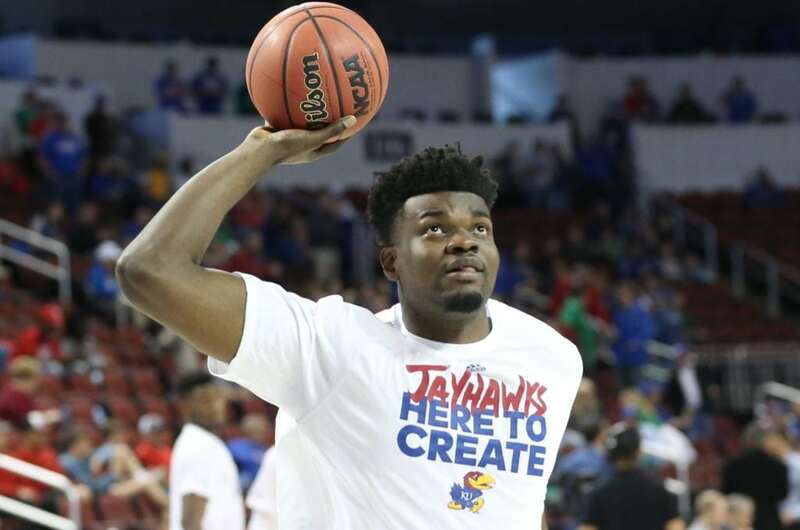 After two seasons and 47 games as a Kansas Jayhawk, sophomore center Udoka Azubuike is at least curious to hear what NBA evaluators have to say about his game. 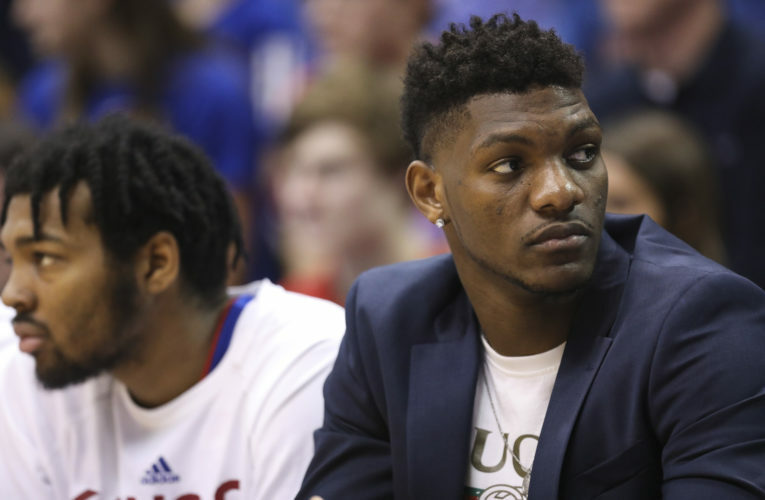 Azubuike, who started 34 of KU’s 39 games this season and improved his numbers across the board from his 11-game injury-shortened freshman season, has decided to test the NBA waters by entering the draft process. Azubuike will not hire an agent, leaving open the possibility that he could still return to Kansas for his junior season the way Svi Mykhailiuk did one year ago. 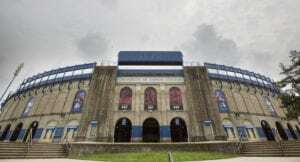 Azubuike beat the early entry declaration deadline by two days and, according to a KU press release, will have until May 30 to pull his name out of the hat in time to return to school. 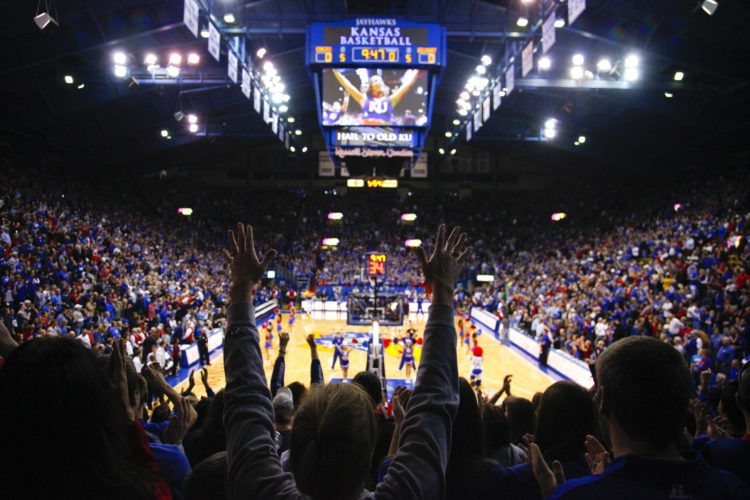 That means the next seven weeks will be very interesting for the 7-foot, 280-pound center from Nigeria who averaged 13 points and seven rebounds in 23.6 minutes per game last season for the Jayhawks. And the featured event during that time will be the NBA’s predraft combine, May 16-20 in Chicago. 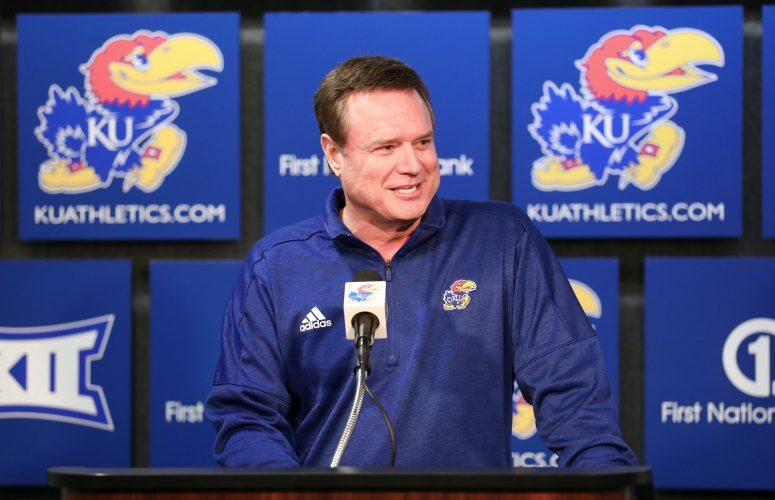 It remains to be seen who gets invited to this year’s combine, but it’s entirely possible that six Jayhawks who were on KU’s opening day roster in 2017-18 could be there — Azubuike, Mykhailiuk, Devonte’ Graham, Malik Newman, Lagerald Vick and Billy Preston. Last year, Mykhailiuk received his combine invitation four or five days after the declaration deadline. If that timeline holds true this year, the group listed above should know something about the combine by next Friday or Saturday. Throughout his time in charge of the program, Self has had one rule about players declaring early for the NBA draft — if you’re going to do it, go all in. “I do think the guys that test, they need to jump in headfirst to try or they’ll go and they’ll look bad,” Self said a year ago, after Mykhailiuk announced his plan to test the water. The idea behind Self’s thinking is simple. Rather than going through the process just to hear feedback and feeling comfortable about having a safety net behind them, any player who declares early stands to do himself the biggest favor by really going for it. In addition to putting one’s best foot forward, that mentality also allows NBA scouts and executives to see the best version of any given player, which will produce the best feedback they can possibly get. Azubuike, who led the nation in field goal percentage with a 77 percent mark from the floor during his sophomore season (of his 211 makes in 274 attempts, more than 100 were dunks), has plenty of strengths to put on display during the coming weeks, with his size and above-average athleticism for a man that big chief among them. 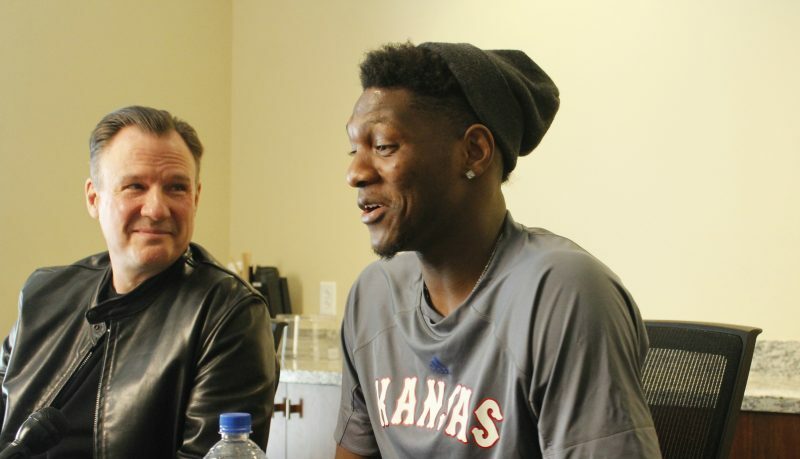 But it’s his weaknesses — which will be worked on nonstop, as well as on display and picked apart during the coming weeks — that likely will determine whether Azubuike stays in the draft or elects to return to KU. Included among those are his shooting range, free-throw shooting, post moves and ability as both a consistent rebounder and rim protector. If Azubuike returns to Kansas for another season, he will be a cornerstone of everything the Jayhawks do during the 2018-19 season. 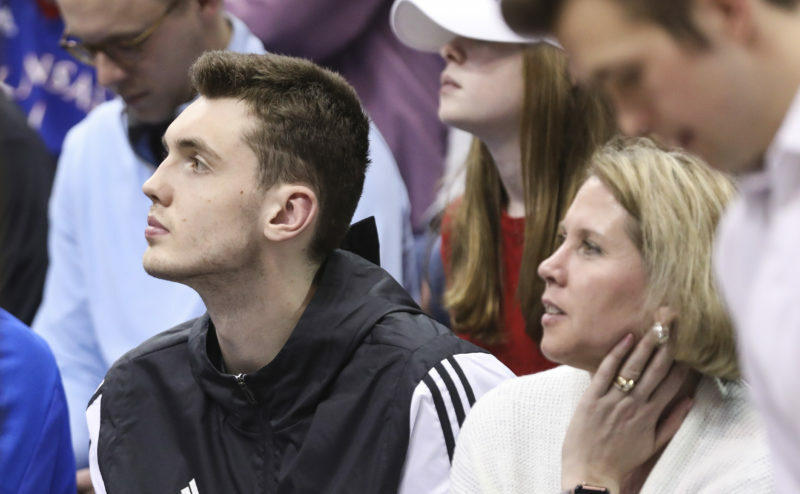 If he decides to turn pro, his departure will mean that the 2018-19 Jayhawks will be replacing all five starters from this season’s Final Four team.